The following piece was originally intended to be included in the epilogue of That Line of Darkness: The Gothic from Lenin to bin Laden (Encompass Editions, 2013). A few paragraphs survived in a slightly different form in the concluding part of the German section and in the epilogue. But for reasons of space, most of it did not survive the editing process. The unfolding of these monstrously criminal actions that killed more than ten million civilians, about half of them Jews, emanated from a delusional ideology about blood purity and Nordic superiority that was born in the late nineteenth century, became a mainstream worldview in Germany after the Great War, and was harnessed by the homicidal fantasies of Hitler and his paladins during the Third Reich. In January 1939, speaking at the Reichstag, Hitler threatened the annihilation of the Jewish race as the just punishment if they should ever start a war against Germany. His engineering of the outbreak of war six months later, and particularly in its most virulent form in the East when he ordered in June 1941 the attack on the Soviet Union, signalled his decision to initiate the redemptive battle for salvation of Aryan humanity against “Jewish-Bolshevism.” Although one recent study suggests that once America entered the war in early December, Hitler resolved to “make a clean sweep” of the Jews, but most historians argue that he made the decision to order the Final Solution sometime earlier in the fall of 1941. Unlike the other enemies, therefore, in this existential crusade, he ordered that all members of every family be eliminated not for what they did but because of who they were. With the willing participation of both zealous Nazis, inculcated with a hatred for an alien ideology, and unremarkable men who killed for a variety of reasons, Hitler justified the struggle as a scientific racist crusade to exterminate World Jewry. One of its most reviled manifestations was the menacing presence of the Soviet Union. Support for the Germans from enthusiastic local contingents, particularly systematic mass murder. 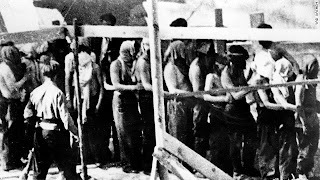 In Lithuania alone, between one-half and two-thirds of its Jews, about 140,000, were murdered by indigenous Lithuanian forces. If the police battalions and civilians who collaborated or were allies, by seizing Jews from their hiding, clubbing them to death in a frenzied pogrom-like manner or burning them alive, believed they would ingratiate themselves with their overseers, they were rudely mistaken. When Hans Frank, the governor-general of Nazi-occupied Poland was interviewed by an Italian war correspondent, who was distressed by the massacre of seven thousand Jews by Romanians, Frank fabricated a veneer of sympathy: “The Romanians are not a civilized people.” The Germans, however, Frank smugly noted were a civilized people “who are guided by reason and method and not by bestial instincts; [they] always act scientifically.” The occupiers believed that the Baltic peoples, particularly Latvians, possessed Slavic blood, rationalized their economic exploitation and social segregation so that they would not contaminate Germans. Likewise, Ukrainians, especially in the cities, were reduced to near starvation while food was shipped to German troops. The Germans did not dispel fears that once the Jews were exterminated Slavic peoples would be next. While millions died, Nazi officials confidently justified their expiration of Jews and enslavement of Slavs whom they considered to be inferior by retreating into the psychotic fantasy that German blood would be strengthened by eliminating or enslaving those with so-called inferior blood. 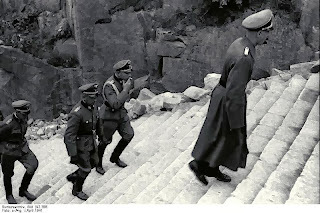 When in 1940 Himmler addressed SS men about the urgency of killing thousands of Polish priests and intellectuals, he prattled on about his belief that “Nordic blood is actually the best blood on this earth.” Meantime, Hitler was indulging his loathsome biological metaphors that revealed a genocidal mindset. He described Jews as the “bacillus and ferment of all social decomposition” and his movement as the successor to Pasteur and Koch in “eliminating the Jewish virus.” Failing to understand how Germany had been harmed by the loss of some of its most talented professionals, particularly scientists, who might have helped him win the war, he still possessed the bravado to utter that he had proved that “a state can live without Jews; that the economy, culture, art, etc. etc. can exist without Jews, indeed better.” Because he melded Jews with the Soviet enemy into a combined vision of evil, the latter were the “bestial” (that) required “annihilation.” It followed that since the Jews were “the scourge of mankind,” and were responsible for turning Russia into “a plague centre,” they too must be excised from Europe. The supreme irony behind the Nazi obsession with blood was how little their leaders like Hitler and Himmler really knew about the actual fluid. Cocooned within an ideology that was divorced from reality guaranteed that German knowledge of medical technologies regarding blood was outdated by at least a generation. Physicians possessed almost no awareness of blood banking and made little use of blood-typing laboratory tests. In contrast to the British and the Americans who learned to give large quantities of blood through blood-drip transfusions that saved many lives, the Germans, who apparently were ignorant of the technique, gave small amounts of blood. Their willingness to accept only Aryan blood frustrated even their own physicians, one of whom complained about “senseless race theories” and the requirement for “pure blood.” Blinded by ideology and xenophobia, even from the cognate Dutch, the Germans failed to recognize or appreciate innovations that were occurring in occupied Holland. Despite being deprived of their resources under German rule, the Dutch developed dried plasma that in 1944 was delivered to Canadian and British troops, who would have died without it. “They just left it all alone, probably because they didn’t trust our blood” recalled a physician who later became head of the Dutch transfusion unit. Throughout the war years, evidence of the Nazi obsession with blood and race was plainly visible to the citizens of the Reich. All the destructive and sadistic impulses present before 1939 accelerated and worsened. 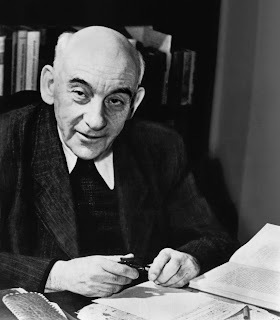 Through his diary, Victor Klemperer provides an insightful perspective during the war years that reveal the deepening racism that pervaded every area of life. 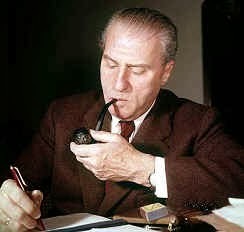 In 1939, he ridiculed the notion of blood purity as a “zoological concept…which long ago ceased to correspond to any reality.” But this fantasy did not deter the Nazi bureaucracy from diminishing the circumstances of putative racial enemies. No longer able to teach or own a car, by April 1940, Klemperer and his Gentile wife were forced to rent out their home, but pay the upkeep on any repairs and move into the “Jews house,” which henceforth they must share under cramped conditions with other Jews. In the following year in September, Jews were required to endure the humiliation of the yellow Star of David, a stigma, which causes Klemperer to feel “shattered,” someone who “wants to leave the house for a few minutes after dark.” Although he occasionally was received with sympathetic glances from Aryans, Klemperer notes the shame of one woman who turns back the “coat over the Jew’s star or walking with her umbrella up, even when it has stopped raining—because her arm covers the star.” A cause for greater distress is the “shocking reports about deportations of Jews to Poland” who “have to leave almost naked and penniless.” By December, he correctly concludes that “the terror and chaos are getting worse.” But it is not until February 1943 that he realizes that deportations and camps mean death sentences. Thousands of apartments and their contents were now available to Aryans, most, of whom took full advantage of the bargain values. Klemperer managed to survive the war and secretly record his impressions in the diary, itself a courageous undertaking. Had the Gestapo become aware of its existence, it would have meant death for the Klemperers. Fortunately, he was married to a gentile who stood by him; her ration card protected them from serious malnutrition. Not all mixed marriages withstood the increasing stress of the war. For example in 1944, a sixty-three year-old man, who wanted to share his apartment only with his sister, filed for divorce and denounced his wife of thirty-six years to the authorities over some alleged derogatory remarks she made about Hitler. She was sent to Auschwitz. 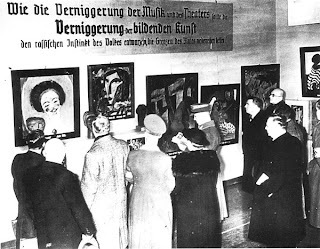 Klemperer might have shared the same fate when the authorities on February 13 ordered Jews of mixed marriages considered capable of work to report for deportation three days later, but the timing ironically coincided with the terrible firebombing of Dresden. Miraculously, both Klemperer and his wife eluded the city’s immolation, and in the ensuing panic, they set off on foot toward survival to be liberated later by the US army in Bavaria. During the latter war years, German and Austrian citizens became increasingly accustomed to witnessing concentration camp prisoners being maltreated, undernourished and even executed on the streets if, from sheer exhaustion, they refused to do any more backbreaking or dangerous work. SS-Construction brigades occasionally received food or cigarettes from civilians, but generally “the population was overwhelmingly in tune with Nazi propaganda and generally turned against all prisoners and all foreigners,” including their former allies, the Italians. Nowhere was this hostility more clearly in evidence than in the last months of the war. 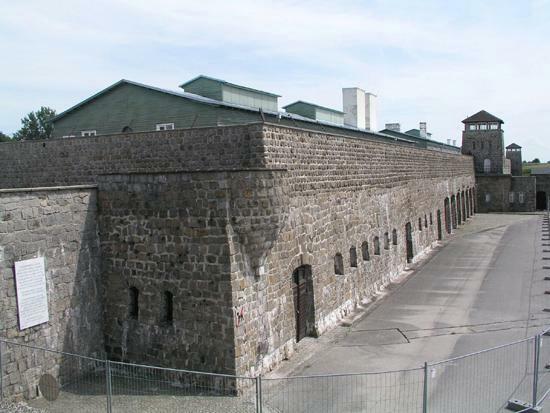 The concentration camp of Mauthausen, by the town of the same name, was built at a stone quarry in Upper Austria shortly after that country was incorporated into the Third Reich. One indication of its brutality was that its death rate far exceeded any of the camps in Germany. A punishment of unfathomable cruelty consisted of prisoners hauling on their backs a heavy slab of stone and then running up one hundred and eighty-six steps of the quarry known as the “staircase of death” to fall or be pushed into the pit below. Those that initially survived unloaded them and repeated the task endlessly until they succumbed to exhaustion. The evidence overwhelming demonstrates that those exercising absolute and arbitrary power dispensed death systematically and capriciously. When in February 1945 over five hundred desperate Russian prisoners escaped from Mauthausen, the SS announced to the public that the emaciated inmates on the lam were “hardened criminals” and invited them to participate in killing them on sight, which many enthusiastically did with guns, pitchforks and knives. One observer noted that “an intoxication of blood seized the SS.” Supported by members of the Hitler Youth movement and ordinary citizens, only a dozen POWs eluded capture mainly because of the efforts of two families who hid them in their barns and houses. SS climbing the "staircase of death"
Hollow, pallid ghosts from graves and tombs, terrifying, rot-coloured figures of misery marked by disease, deeply ingrained filth, inner decay, incurable burn and frost damage to the soul, many of them become aged under the experience…lasting an eternity. All voices from out of the strange Ur-underground of human existence unite to a chorus, and fugue upon the theme of horror and desperation. There are those that scream and rave in wild ecstasy, others are only able to whimper, to weep, suffocated, to stammer, to babble like children. Whether or not ten thousand Russian females drop down with exhaustion while digging an antitank ditch only interests me in so far as the anti-tank ditch is completed for Germany. We will never be brutal and heartless where it is unnecessary to be so; that is clear. We Germans, who are the only people on earth to have a decent attitude toward animals, will adopt a decent attitude towards these human animals, but it is a crime against our blood to be concerned about them or to give them ideals. 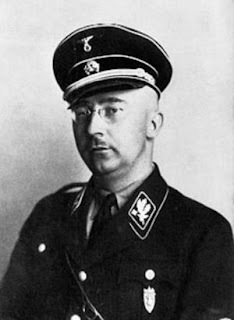 Disregarding the rubbish about decency, Himmler was spelling out in most explicit terms the poisonous consequences of National Socialism: only German blood was valued; everything else was disposable, of no importance. A ghoulish example of this egregiously callous mindset occurred when the Red Army advanced on Germany. The Russians found that the Anatomical Medical Institute in Danzig had manufactured soap and leather from the “corpses of citizens of the USSR, Poland and other countries killed in German concentration camps.” As if to demonstrate that nothing extraordinary or untoward was occurring at a time when the Reich was imploding, and that the victims were another kind of species not human beings, no attempt was made to destroy the evidence before the Soviets arrived. The insouciant disregard for the dignity of human beings displayed in this instance was symptomatic of the moral vacuity fostered by National Socialism toward anyone non-German. This worldview was not a philosophical set of values, but it was a perversion or extension of the philosophy espoused by anti-Enlightenment spokesmen and proponents of Romanticism in the nineteenth century. Citing obscure ideologues such as Fichte may be of only arcane interest to specialists, but the distinguished philosopher Martin Heidegger refashioned and expanded on his forebear’s rejection of cosmopolitanism, modernity and rationalism, and by his acceptance of anti-Semitism and aggressive nationalism. That these notions could so comfortably fit the Zeitgeist permitted the Nazis to equate rationalism with shallowness and Jewishness. In contrast, Germans were portrayed as idealists capable of deep feeling, a people who yearned to be united in social harmony. Not educated to thinking politically and not willing to learn how, a great many Germans succumbed to quackery and tyranny. They were only too ready to imagine that the 'national rising’ represented a true rebirth even in the realm of public ethics; that it meant an end of partisan bickering, equality of opportunity, a return to upright ways of living and forms of social organization.…Many young people, some of whom later gave their lives to resisting the tyranny, first entered the Hitler Youth in good faith, out of a sense that there was something rotten in the state and that our public life needed a cleansing.…They developed leanings toward the ‘ethical commitment’ of Communism and then came to feel— most of them only temporarily—that National Socialism offered the opportunity for fulfilling such obligations in a form appropriate to the German tradition: by the interaction between the elite and society. Many persons imagined that Christian principles would prevail in the Third Reich, including love of neighbour; that materialism would be given an ethical cast. Hardly anyone thought that the threats against the Jews were meant seriously. Apart from the deluded faithful, clearly, Germans were not brainwashed automatons. True, the Gestapo, arrogating for itself the authority of an omniscient presence, played upon and exploited the human psychic weaknesses of Germans by suggesting that no part of their private lives was immune from the prying eyes of the state. The small sample of dreams of three hundred Germans collected by the journalist Charlotte Beradt between 1933 and 1939 suggests that these warnings were absorbed. For example, one doctor dreamed that he heard a loudspeaker decree the abolition of walls and when he looked around to saw to his horror that there were no apartment walls. 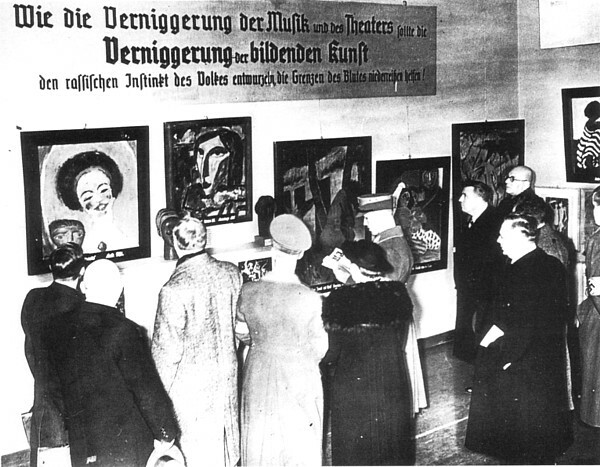 These fears notwithstanding, millions knowingly supported the Third Reich for a variety of reasons: the law-and-order agenda, the perks of power for opportunistic administrators, academics, physicians, lawyers and artists, even the aphrodisiac of a uniform worn by the agents who wielded life-and-death control over the state’s political, genetic and racial enemies. Himmler’s chilling pronouncements exemplified the extreme end of the continuum that would have likely horrified most Germans. But when solipsistic thinking prevails, when one’s country’s pride, power and its suffering encompass the only reality, it is easier for the state to spread its poison and seduce the unthinking idealists and the majority who applauded its coercive instruments into accepting a collective psychosis. This lesson should not be lost on us in our contemporary world.